Looking for inspiration for your next trip? Of course, you’ll run into a few movies that can show you the darker side of travel, but they are still entertaining. Here are some of my favorite travel horror movies. This 1975 thriller might not be as scary as it was when it came out in the movie theater. 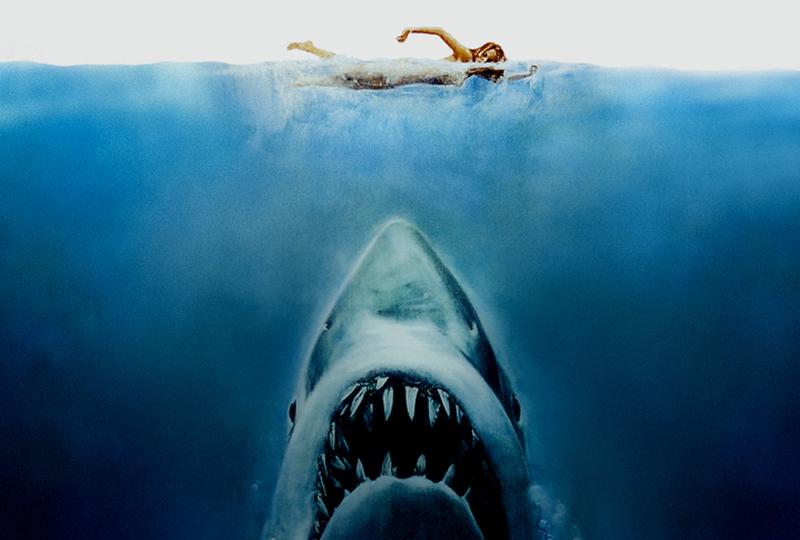 I recently saw it again on cable with my 11-year-old daughter and she was laughing due to the fact that the shark looked very unreal. The point is that sharks are still out there and for those of us that won’t be visiting the crystal clear waters, but the dark murky oceans—this movie might add some fear to your trip. On a positive note, shark attacks are very rare and they don’t usually target humans. This movie is not about crazy sharks coming and fiercely attacking you, but a story that many of us can relate to. This couple is on an amazing tropical vacation and they take one of the many scuba diving tours and are left in the open waters. It will make you never want to go on a tour boat in the middle of the ocean again, just in an aquarium! Chances are you won’t find any piranhas in the small town lakes during vacation or at a waterpark (like this travel horror movie), but if you’re heading to South America in the amazon jungle—expect them to be part of the ecosystem. In some countries, reports of piranha attacks occur during the dry season when food is scarce, so always pay attention to warnings before going in the water. While this movie is not for everyone, European travel is a fun experience that allows you to see so many countries and cultures. It’s always good idea to keep aware of your surrounding and be careful about people with special offers for any free travel to other places like what happened to this group of young Americans. While you might think getting a cabin in the woods would be a safe and relaxing way to spend your vacation. Not this trip—a bloody infection takes over the group of college students, making this a horror experience where everyone ends up dead and the virus continues to spread throughout the town.